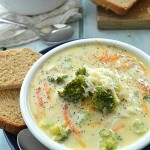 Vegetable Chowder - Dessert Now, Dinner Later! You guys! This soup! It’s enjoy the leftovers for days good! I’m not a leftover eater, especially when it has any kind of meat in it, but this is vegetable chowder, no meat, and it is just as good the second, or third day, reheated and enjoyed for lunch or dinner. The most time consuming part of this dish is chopping up all the veggies, but after that it’s a cinch! 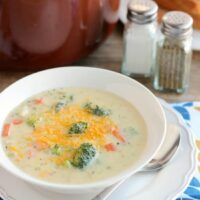 The broth is so creamy, and cheesy, with tender cooked vegetables and simple seasonings. Put this on your menu ASAP! In a large stock pot, melt butter and add the carrots, celery, onion, and garlic. Saute for 5 mintues or until vegetables are tender. Add the flour and stir until the butter and liquid from the vegetables soaks it all up, then cook for 1 minute. Slowly pour in the broth and milk, stirring as you pour. Add the potatoes and seasonings, to taste. Keep in mind that the cheese added later will add saltiness as well. Bring mixture to a boil and cook 15 minutes, stirring every 5 minutes, until the potatoes are fork tender. Add the broccoli and cook an additional 5 minutes or until tender. Then add the half & half and shredded cheeses. Stir until melted. Remove from heat and serve warm. Ok, you have to stop making so many delicious soups unless you are going to package them up and overnight them to me. Deal? 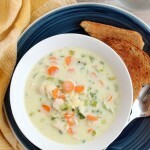 But seriously, this chowder… I want some! Oh it was thick, and hearty, and so delicious! Thanks Renee! I think some things just taste better as leftovers, this definitely looks like one of them! I love all of the veggies in this too. 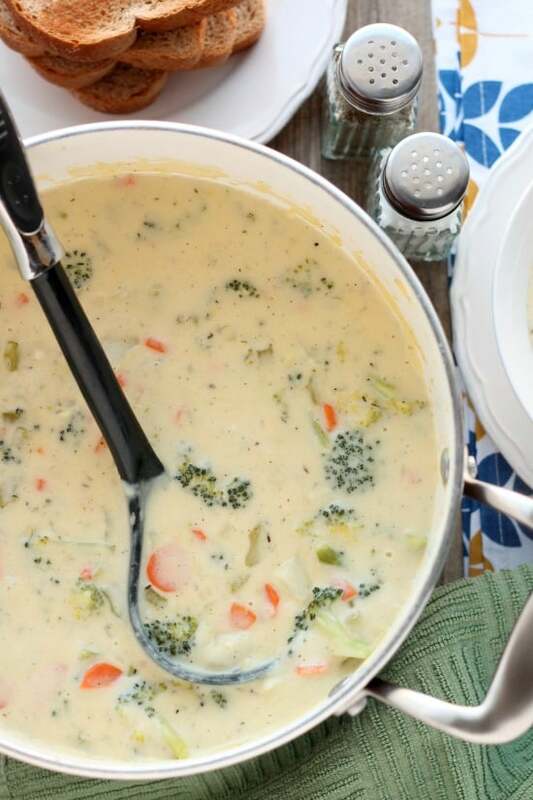 There’s nothing better than chowder when it’s so cold outside. Pinned! Yeah, some things really do, especially soups because it give it more time to marry all the flavors! MMM! Thanks for pinning Danielle! 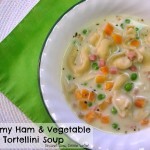 There’s nothing better than a warm, hearty soup these days! And I totally love leftovers, especially when they look this good! For sure! It definitely hits the spot! Thanks Ashley! This looks so creamy and delicious! I was never a fan of leftovers before either but now I seriously love it since it means I’ll get a night off of cooking. This sounds like the perfect leftover meal. Love all the veggies in here! 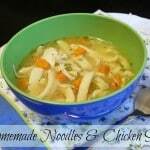 I seriously LOVED this soup! So, so good! Thanks Kelly! It’s so cold here, I’m craving anything and everything SOUP! 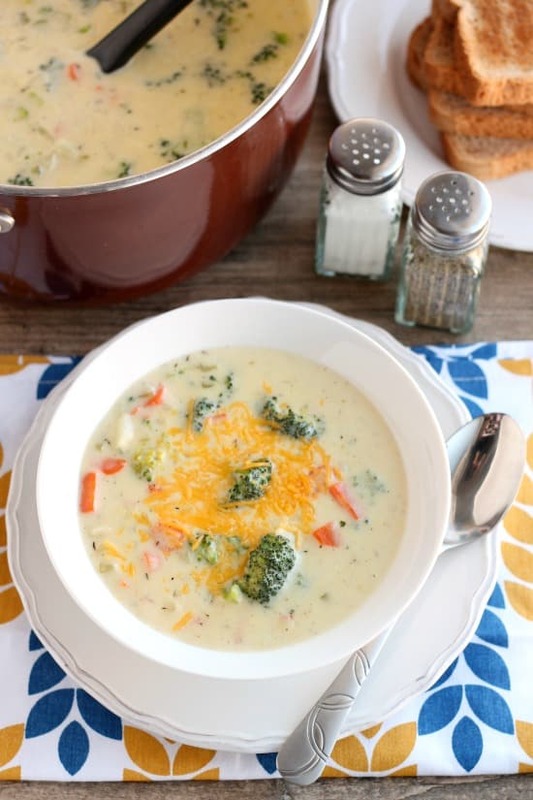 I just love a good veggie chowder and this seriously looks so cozy and comforting! 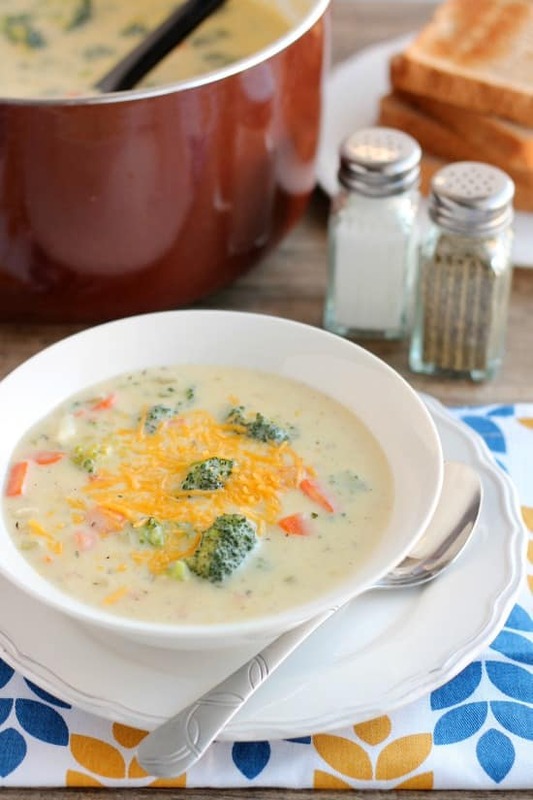 Soup is definitely a must in the cold winter months! This is one of my favorites for sure! Half & Half = half cream and half milk. It’s found next to the heavy cream in the dairy section of the stores. I’m so glad you like it! Thanks for your comment Tracy!